Finding time for yourself with a baby to care for can be tough, but yoga doesn’t have to be. Drop-in to our sunny loft every Friday morning during this 6-week series and give yourself the gift of community. Baby and Me classes are perfect for moms, dads, and caretakers who are looking to meet new friends, deepen the connection with your baby and bring their awareness back to the moment. 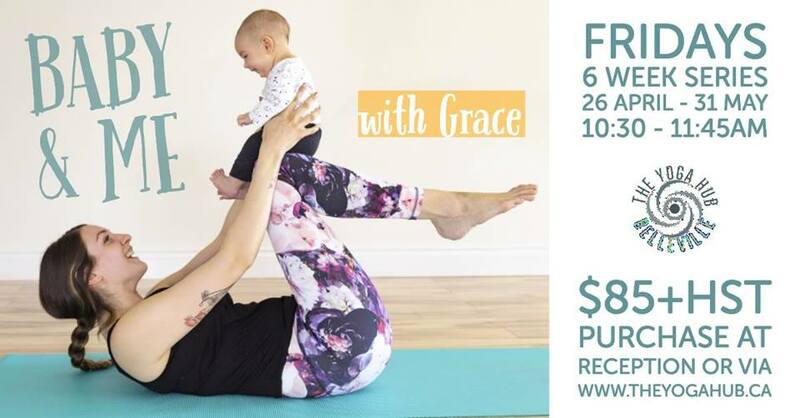 Through the use of physical yoga postures and sequences, meditation and breathing techniques, and some extra special bonus material (think: baby massage! ), let’s make the most out of your Fridays. – To be in an environment where meltdowns …are totally acceptable!